A personalised gift your clients and staff will love. A great way to purchase bulk amounts of vouchers at a heavily discounted rate. 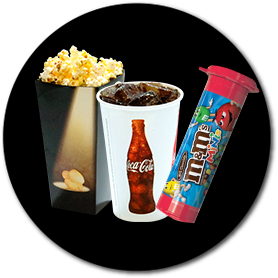 Branded Movie Money is customised to include your companies logo. 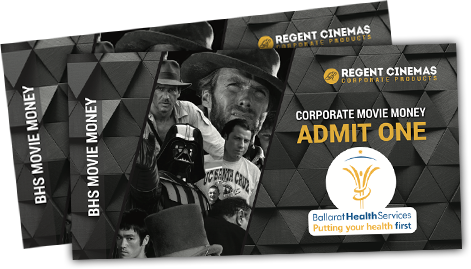 Use corporate movie money in conjunction with staff reward systems, your employees will love being recognised and treated to a night out at the movies. 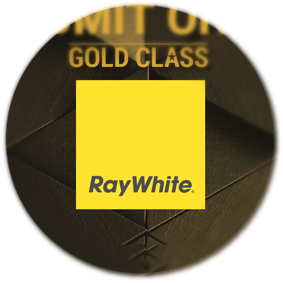 Reward clients and use as bonuses in loyalty schemes. Give back to your best customers! Use as a give-away prize for marketing campaigns and competitions. Give out to staff or clients at end of year ‘thank you’ events and staff break-ups. A wonderful Christmas present from your company. Build upon your business identity or use to promote a new product. 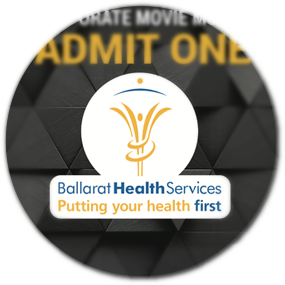 Can be used as a revenue raiser by on-selling to clients and staff. 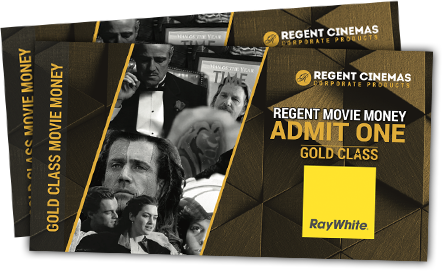 Mainstream Movie Money enables the bearer admission to the mainstream session of their choice. * Orders of these price points can opt to receive vouchers over a 6 month period. # Branding of this price group includes a surcharge. Minimum 100 vouchers required in order. Let them know who it’s from, your logo is large and in charge. 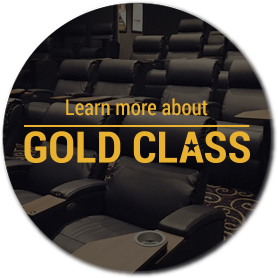 Gold Class Movie Money enables the bearer admission to the fully serviced Gold Class session of ther choice. Gift Cards available for Food and beverages. ‡ Branding not available on this price group. 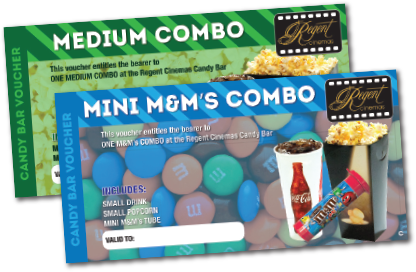 Add a little something extra with a Candy Bar combo voucher! Minimum of 20 per order. as part of a Movie & Meal deal? 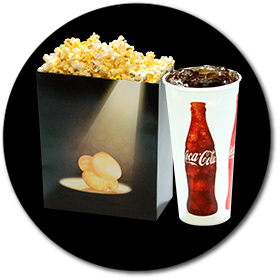 Learn more about our new Movie Meal packages! Do you buy Branded Movie Money regularly? You may be entitled to loyalty discounts.